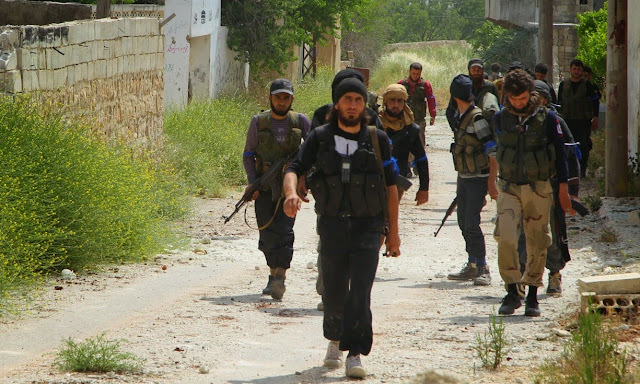 Al-Qaeda affiliated al-Nusra Front and allied rebel forces today captured Mastouma military base, the largest regime base in Idlib province, AFP reported today. The fall of Mastouma leaves only a few positions in the province in regime hands. Idlib is a strategically located province, bordering government’s stronghold of Latakia to the southwest, with a major highway linking Latakia to Aleppo running in the middle of the province. “All regime forces have withdrawn from Mastouma, leaving it completely in the hands of opposition forces,” Rami Abdel Rahman, head of the Syrian Observatory for Human Rights, told AFP. Assad's forces are being drained. And dozens of Hezbollah troops are dying every day. Afghans are being paid $500 a month and offered Iranian citizenship to fight in Syria with no avail. Every dog has its day.